Today I want to share a truly amazing story of a Moon Goddess student of mine, Maria. Maria was preparing for her first IVF cycle when she started Moon Goddess. 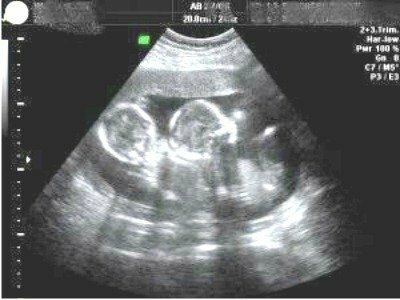 She was hopeful and excited – and deeply desired twins. The power of intention – TWINS! Maria wanted me to let you in on this story to show you there is hope. This is truly a reminder, that no matter what all the research, stats, and even your doctor says – our bodies are truly capable of magic. I am honored that I was able to be a part of Maria’s journey in this way, and know that you can have the same miracles. Hop on board with my Moon Goddess for Fertility program to make your own “impossible” situation possible. It’s completely self-study and you can practice based on your own schedule. Join Maria and many other successful Moon Goddess clients in your own inspiring success story.